Pikeville Medical Center offers a comprehensive pharmacy service responsible for procuring, maintaining, dispensing and monitoring all formulary medications. 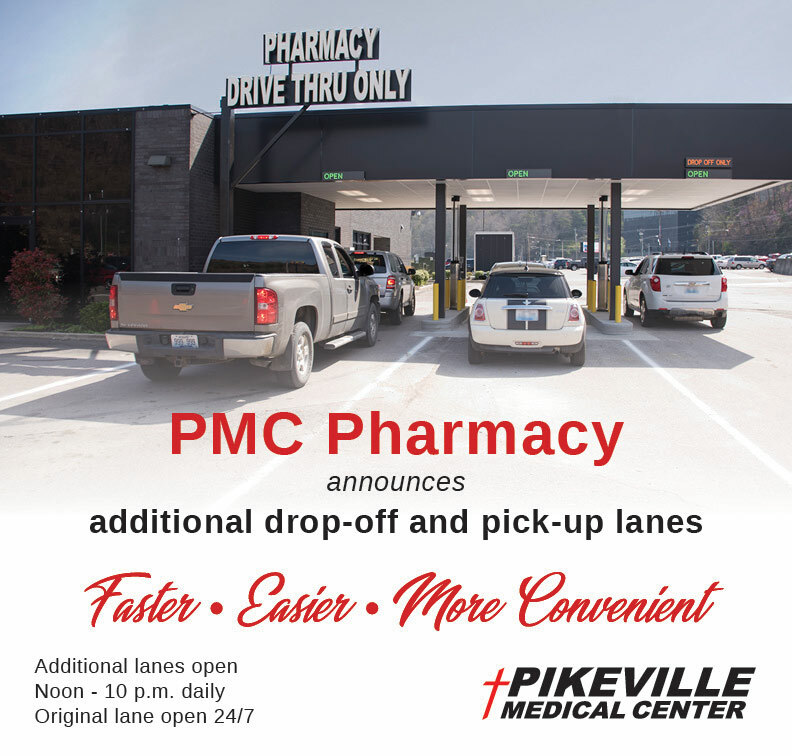 Pikeville Medical Center’s outpatient pharmacy, is now ALL DRIVE THRU and is located in the hospital parking lot across from McDonald’s on Baird Avenue. To check on an order or for more information, please call 606-218-3576. For your convenience, outpatient pharmacy services are available by a drive-up window. The pharmacy is open 24 hours a day, 7 days a week including Holidays. 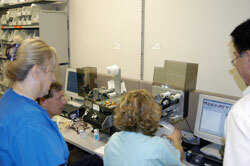 The inpatient pharmacy staff operates in a technologically advanced setting that incorporates both automated dispensing (PYXIS®) and barcoding of medications in our pursuit of enhancing patient safety. In addition to medication order entry, our pharmacists screen each patient’s allergies, chart notes, disease state list (if available) and lab values for any conflicts with new orders. Upon completion of this initial screen, pharmacists make recommendations to physicians (if necessary) for adjustment of drug therapies. Our pharmacists assist in drug dispensing procedures and adhere to medical center policies regarding patient confidentiality. Hours of operation: 24 hours a day, 7 days a week including Holidays. Pikeville Medical Center’s oncology satellite pharmacy staff prepares chemotherapy for patients visiting the Leonard Lawson Cancer Center. Pharmacists work in close conjunction with oncologist physicians to formulate chemotherapy regimens appropriate for the needs of each individual patient. Decisions regarding doses and specific regimens of chemotherapy are made based on a variety of factors including: type of cancer, stage of cancer, cardiac function, kidney function, and blood cell counts. Pharmacists are regularly consulted to aid physicians in searching for drug information that will better serve our patients. Located inside our medical intensive care unit (MICU), Pikeville Medical Center’s Operating Room/Intensive Care Unit Satellite Pharmacy is manned by a staff of outstanding clinicians. In addition to excelling in areas of clinical pharmacy practice that are inextricably linked to the intensive care unit (see bulleted list), these pharmacists serve as indispensable sources of drug information. When seconds count, our pharmacists deliver answers to questions regarding the appropriate management of critical patients with accuracy and speed. Our pharmacists are an integral part of the intensive care unit team.